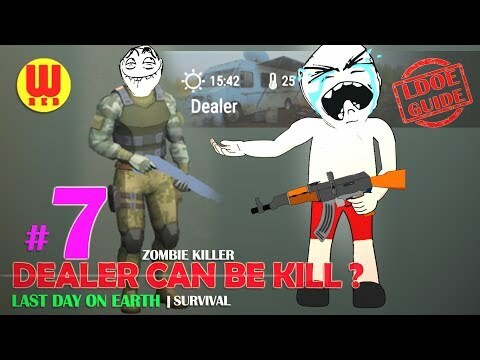 If you are wondering how can kill the dealer that is the answer. You can find a lot of useful stuff to create your personal zombie survival vehicle. Don't miss the chance to ride a Chopper through walking dead hordes and post-apocalyptic landscapes. In 2027 an outbreak of an unknown zombie infection wiped out most of the world’s population. Life was draining away from people but the pandemic was turning them into hordes of the insatiable walking dead. Stay alone or team up with allies - you’re the one to choose your path in the world full of chaos. Use any ways you can in order to survive. Download and enjoy Last Day on Earth - a new free zombie survival game today!